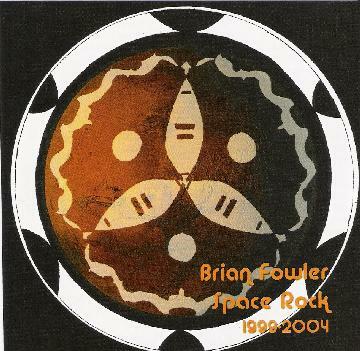 Brian Fowler - "Space Rock 1999-2004"
Brian Fowler with the help of Gabe Holland and a lot of friends has produced 13 tracks of some pretty diverse and spaced out stuff of what sounds like home studio recordings. This is a compilation of material from several of Brian's self released CDs. Brian appears to be quite a busy guy involved in a number of projects (Superczar, San Francisco Blue, Spaceseed). While I don't really consider many of the songs on this CD to be Space Rock, there is a really good mixture of interesting tracks. If you are not familiar with Brian and his other projects this would be an excellent starter to his music. For more information you can email Brian Fowler at: follicle777@yahoo.com.